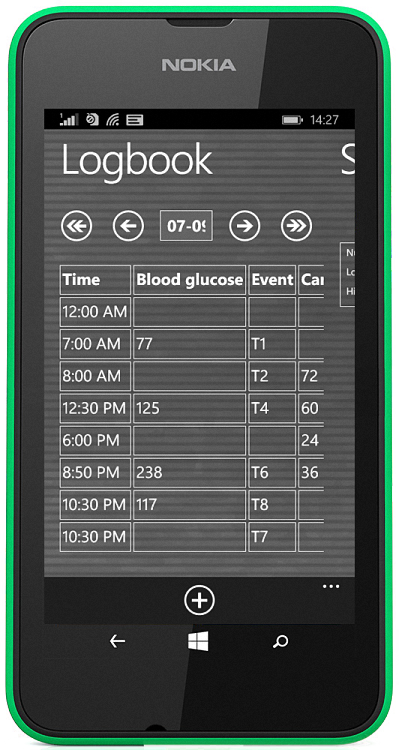 Now you can download our Windows Phone Diabetes App directly from Microsoft Windows Phone Store to your Windows Phone: please click here! Of course we would appreciate your fair rating of SiDiary in the Windows Phone Store. If you are not satisfied with SiDiary please contact us before you place your comments to the Store. Very often we are able to help you with misunderstandings or to point you to unexplored functionalities. We're looking forward to your requests! You can register the App with your SiDiary Online login data, but you can use it also in the free-of-charge mode which will show you advertisements. 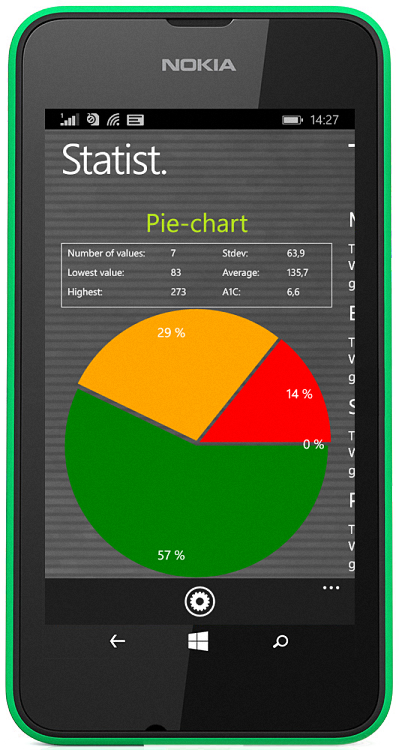 You can use 'SiDiary Windows Phone' stand-alone, but this version can also enhance the pc-version - e.g. 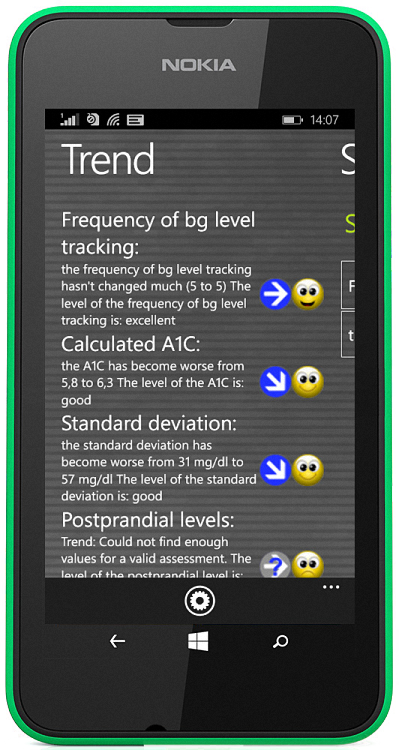 you can download readings from your blood glucose meter, insulin pump, blood pressure meter or pedometer with your pc-version and enter additional data on the way in your Windows Phone version. After synchronizing both the desktop computer and your Windows Phone with 'SiDiary Online' all of your data will be merged into one logbook. Since synchronization with 'SiDiary Online' will be started manually - you always have the full control of possible costs for your online connection.